“Tonight was super exciting for me. I have a lot of amazing things to say about my horse and how lucky I am to have him. In the jump-off, he was incredible! Everything came up kind of just by moving forward,” said Hoffman. Clear rounds were hard to come by in the first round. In fact, the first faultless performance did not come until Menezes and Quintol jumped at 22nd in the order. The pair, veterans of the 2016 Rio Olympic Games used their experience to their advantage and put the pressure on when first to go in the jump-off, and Hoffman formulated her plan based off their smooth execution. 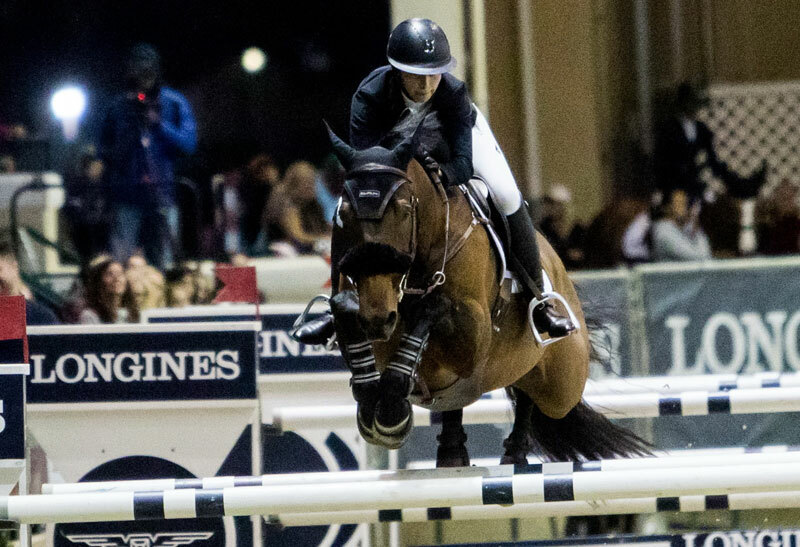 She followed up Menezes’ round with a confident, flowing ride of her own, which was highlighted by a tidy turn back to the jump-off’s third fence and a bold, time-shaving angle to the wall that came two fences later.